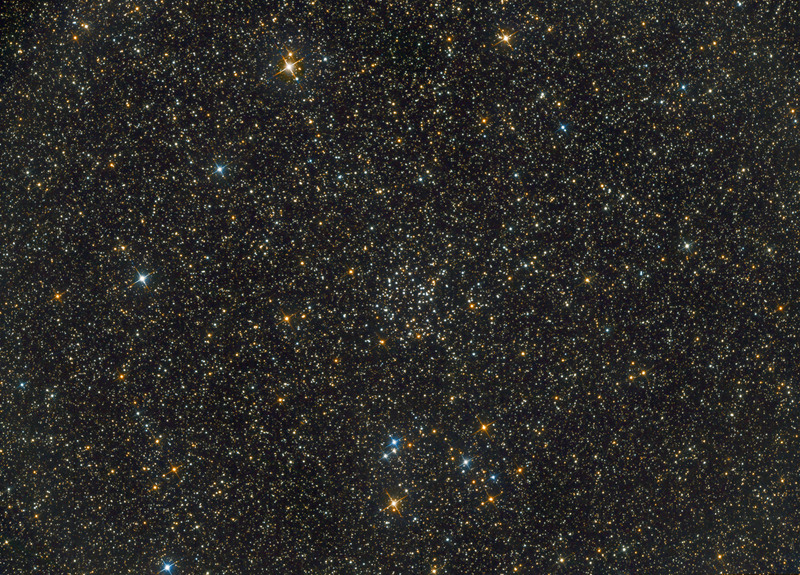 Discovered by John Herschel in 1829, the open cluster NGC 6811 in the constellation of Cygnus contains approximately 70 stars of uniform brightness and very well detached from the background sky. The cluster spans 15 arc-minutes and its distance is estimated between 3000 and 3900 light-years from Earth. The presence of some red giants and predominance of white hot stars suggests an intermediate age of approximately 700 million years.